"If you are listening to this audio, it means you are taking a bold step into making a healthy journey towards transforming your body. Well done! With this guide, I am going to show you the basic information you need so you can achieve your body goals. There are so many reasons to achieve body goals and to keep ourselves away from health risks: through exercising, a strict diet, and so many other activities. With this audio program, having a healthy body system can be achieved through a simple process. And, what's better, you can achieve this in ten days! How can you do this? Through our green smoothie cleanse diet. 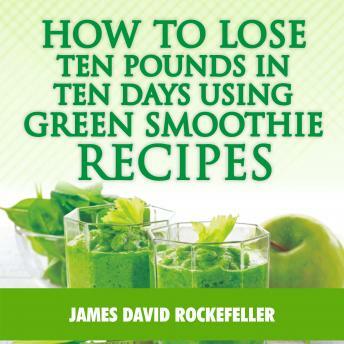 In this audio, I am going to reveal to you what the fuss around a green smoothie cleanse is all about, how to make the smoothies, the healthy recipes, choosing your blenders, and a recipe diet plan.